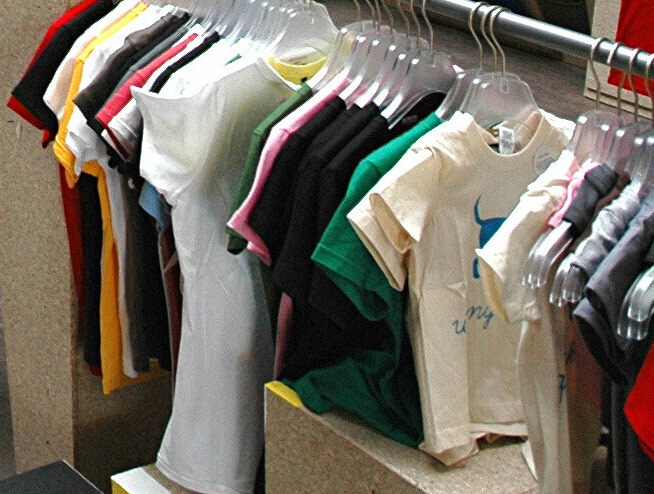 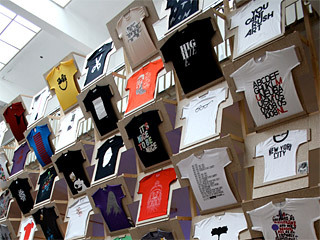 We were invited to contribute our very own (sweatshop-free) Stereohype T-shirt range to 'Sweatshop' – an exciting group exhibition on T-shirts from around the world. 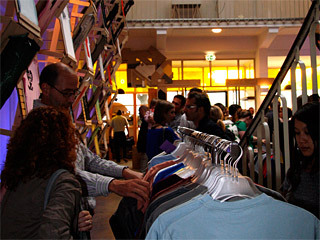 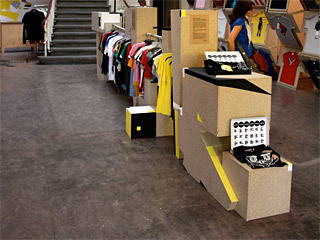 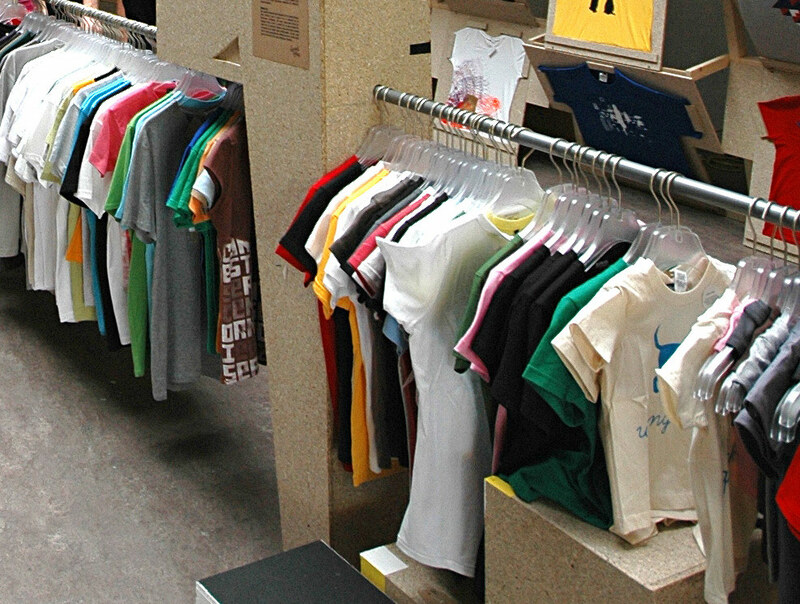 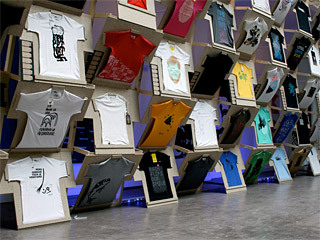 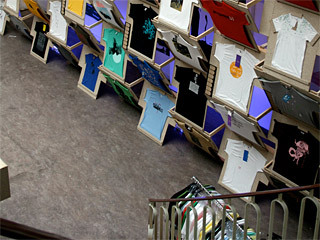 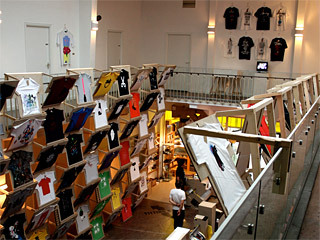 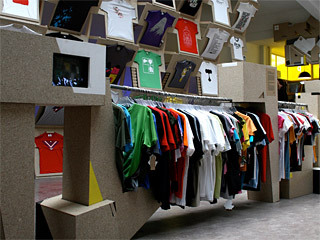 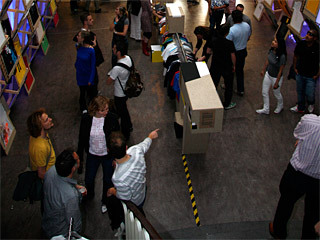 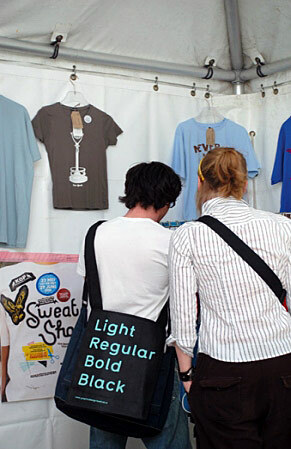 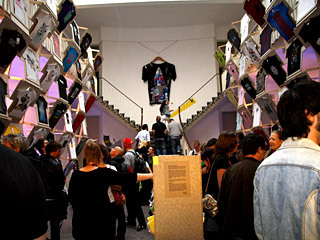 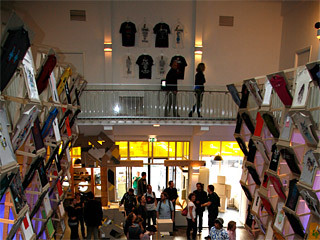 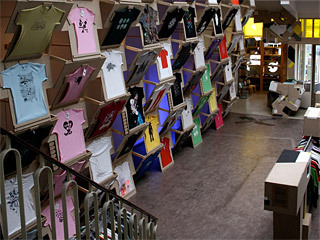 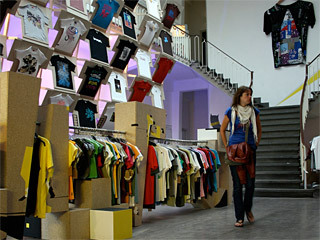 The exhibition (and shop) was part of the first Graphic Design Festival Breda in the Netherlands. 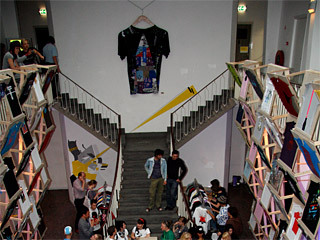 Sweatshop was curated by Dutch studios Kop and Staynice. 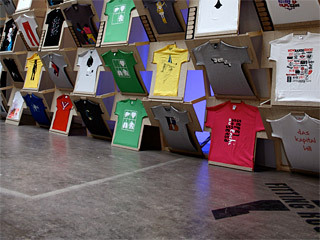 Kop and Staynice – both kindly provided us with most of the pictures shown here. 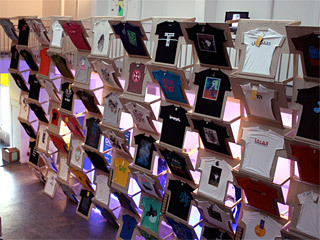 The picture showing the FL@33-designed T-shirt Coin-operated Telescope New York was kindly provided by Dutch photographer Suzanne Jongmans and the pictures showing FL@33's bzzzpeek.com support T-shirts were provided by French design studio Atelier télescopique.